There are plenty of enviable destination spots in California, but as the third largest of all 50 states, there are a ton of lesser known, out-of-the-way towns. In fact, the majority of California is comprised of small coastal towns and friendly neighbourhood places high up on the mountain. The perfect microcosm of California as a whole is Arcata. It has a diverse population, is not particularly urban nor particularly rural, and has a varying climate and landscape. 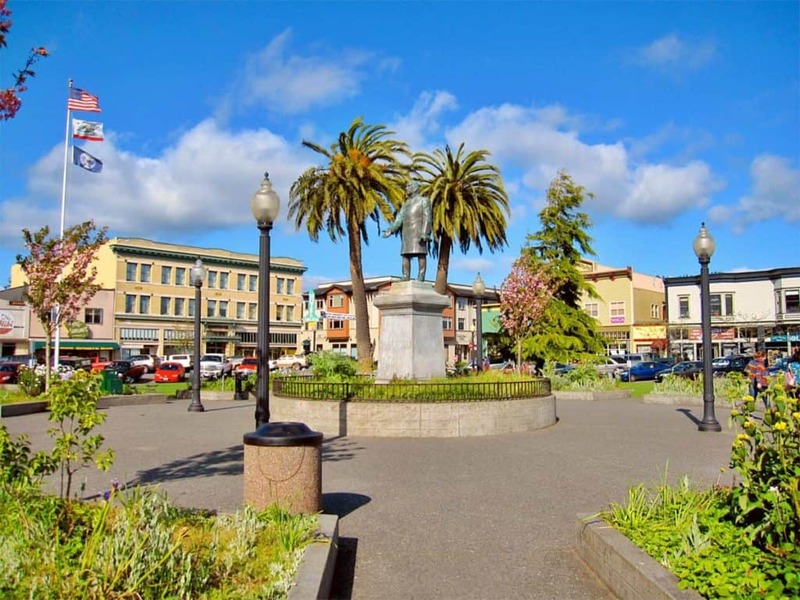 Visitors love the redwood forests, marshlands (take note bird lovers), accessible beaches, and the laid back town square. Humboldt State University is located there, and although it’s part of the California State University system, it definitely gives off its own hippie vibe – much like Arcata itself. If you’re looking for family friendly and small town wholesomeness, you’ll love hearing that the entire town will get together to watch the minor league Humboldt Crabs play a few innings. It was listed on the Hardie House “Ten Most Enlightened Towns,” and you’ll find that strong sense of community that’s missing from big cities.